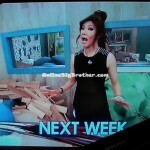 Big Brother Spoilers > Big Brother > Big Brother 16 > FIRST LOOK Inside the NEW BIG BROTHER 16 HOUSE! Sneak Peek TOUR! Nature Theme? 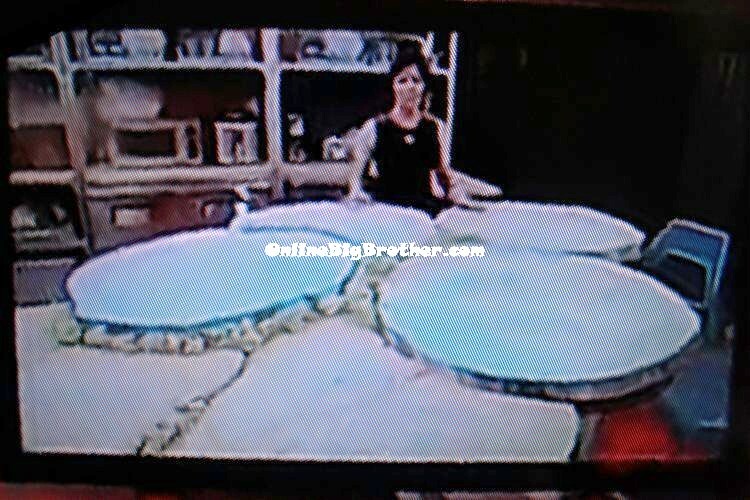 On a recent episode of Entertainment Tonight Canada (ET Canada) we got a sneak peek at that newly re-designed Big Brother 16 house! The sneak peek was a preview of the full tour that will air next week on ET Canada. The reveal of the new Big Brother house that the big brother 16 cast will move into is always a huge event as it shows us this season’s theme. Each season the interior designers transform the house from top to bottom including everything from paint to new furniture. Will the new house guests that move in be an all new cast or will this season be an All-Stars Season? Don’t forget this season has a Two-Night Premiere you don’t want to miss – With the first premiere on Wednesday, June 25th and the second on Thursday, June 26th, 2014! From the looks of this very short sneak peek it looks like the theme of this seasons house is a nature theme. From the “birds nest” bedroom and the bee’s “honey comb” lounge room .. could this be a “BIRDS & THE BEES” Theme? All-Star Couples/Significant others? Exes or love interests? Tell us your initial thoughts on the new house/theme in the comments below.. The Lounge Room – The photo booth is back again this season so we can expect to see the house guests snapping lots of great photos each week. The walls of the photo booth and room are made of bare plywood in the shapes of octagons or honey combs, with some of them painted red. Head Of Household Bedroom – The bed is in the shape of a birds nest with very large blue eggs as pillows. There is a small night stand with a lamp on it to the left of the bed, as well as a small bird cage above the bed. The Kitchen – The kitchen bar table is made to look like large circular pieces of tree trunks that are layered on top of each other. Although this is a very quick sneak peek into the NEW Big Brother 16 house, we can’t wait to see the FULL tour released next week. 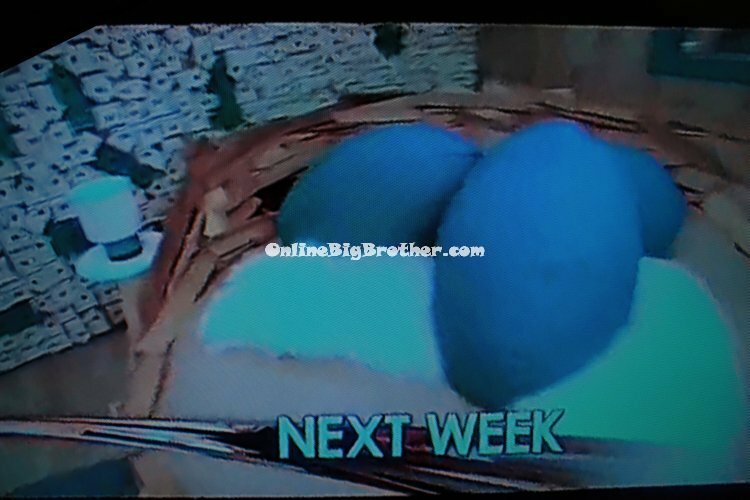 The birds nest HOH bed with the egg pillows looks terrible. Green Eggs & Ham from the “wacko-bird” Ted Cruz? Just sayin’……..
the only thing that could redeem this awful theme is if they do like a “back to basic, back to nature” when they go back to the season 1/2 format of having their own chickens, garden and doing their washing by hand, some beds could be like camp beds. i’d be into them having more tasks to do. maybe the hoh has a special “bird’s eye view”. at least let’s hope so. Don’t judge the house till we get a good look at it next week. I hope it’s all new guests . And you got all of that from that little video. That can’t possibly be the kitchen bar. I don’t think it’s the HOH bed either. Just my opinion though. I’m wondering if it’s going to be a half house. The more I think about it and look at the photo of the bird bed .. I don’t think its the HOH bed either … it must be one of the bedrooms. It looks like it could be the have not room and the have nots have to share the “nest” bed? Nature huh? Can anyone make connections as to the theme of this bb16 season? Survivor in the works? I think it’s nice there trying new things. Looks more like CBS has reduced the budget and costs. Another dull summer in the works people? That bed and kitchen table look like they belong in the Jersey Shore house. Go cry some where else. What if it’s a All-Stars? Like Blood vs Water, Newbies vs Veterans or even Good vs Evil!!!! If it’s All Newbies, hopefully a good player wins America’s Favorite Houseguest!!!!! It looks like a stone age/ Flintstones kitchen to me. Maybe a pterodactyl next room. I still to see need more pics and videos before i can make a judgement call about the house. “NEED TO SEE” Sorry grammar error lol. It looks like a “Bedrock” theme from the Flintstones. It is probably the second house Grodner said they were building in her interview with Jeff. If you listen closely she said we still got to finish the 2nd house. I bet it is a mini house in the back ;yard…. Hummmmm…. The new house photos / house tour will likely be released Monday or Tuesday with the cast likely being released on Wednesday or Thursday. The media day videos will be released some time this coming week as well. I have a question ,I can pay live feed if I am in Mexico? 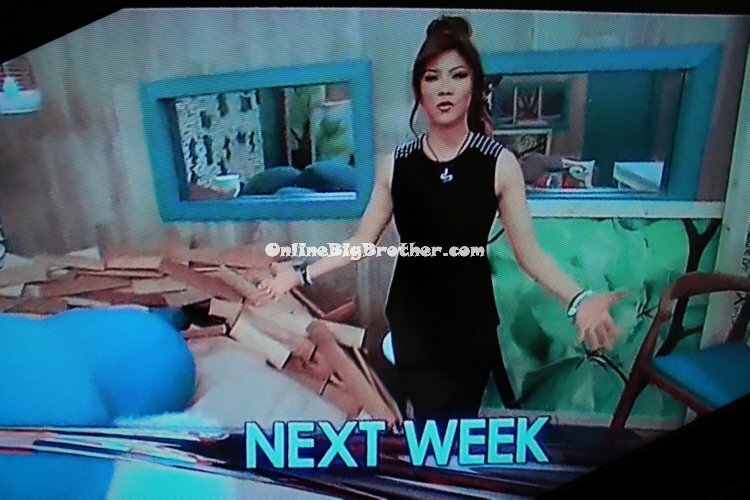 smh, it looks so dated and dull compared to the BB Canada house. They got new cameras but they couldn’t get new lighting? a new studio? mess.